You are here: Home » Working on 4th of July? Try Some Easy, Yummy Treats! Working on 4th of July? 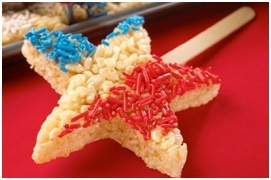 Try Some Easy, Yummy Treats! As we all know, working in the culinary field means that sometimes you have to work on weekends and holidays… so why not make the best of it? 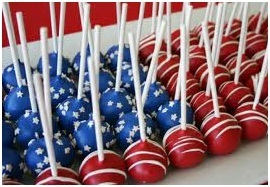 If this 4th of July is one of those days for you, we hope you’re wearing your red, white, and blue chef uniforms! 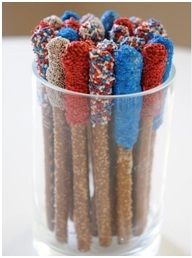 We also hope that you can still find a way to celebrate your American pride with your fellow co-workers. Here are some ideas for simple and festive treats that would be painless to prepare, and would win you some major brownie points with those around you. 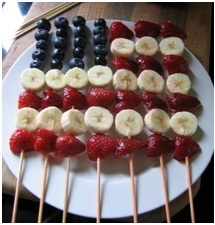 If you’re lucky enough to have the day off, check out last year’s 4th of July Blog for some BBQ ideas! Have something planned for Wednesday other than one of these dishes? 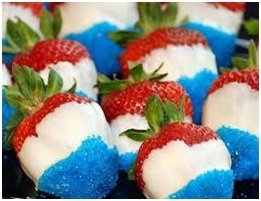 Share your recipe with us and pictures in your patriotic chef uniforms of course! ← A National Chocolate Pudding Day Recipe: Fun for the Kids!